Contact Lisa at 847.836.7662 or TasteCafeRoma@gmail.com for menu and location alternatives. Chef Frank can prepare a wide variety of choices including: Upscale Sandwich Platters, Picnics and BBQ, Mexican, Middle Eastern, French, Thai, American and heavy Hors D’oeuvres in addition to everything on the regular menus. Looking for a new place to have your event? Café Roma is available for private and semiprivate events. We also have a beautiful space for up to 120 people. 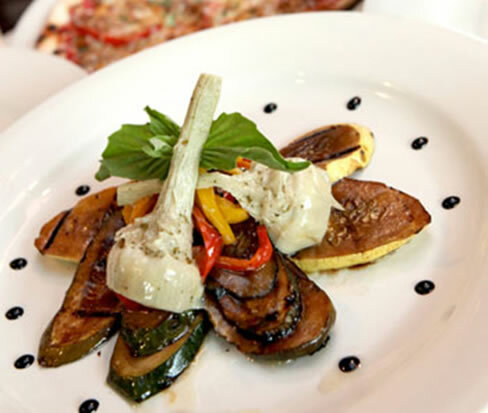 Let Café Roma bring the feast to you! In home parties, Randall Point Conference Centers, or right in your facility. Have you checked out the website recently? All the menus are posted as well as reviews. Café Roma is on Yelp. first to receive special offers and announcements. Requests are handled in a very timely manner and staff is wonderful to work with.